The SVJ, or Super Veloce Jota replaces the old SV at the track-ready top of the Lamborghini ventador tree, resurrecting a badge made famous in the early seventies when it was used on a short run of modified Miuras. Lamborghini has used the Super Veloce, or SV, badge on and off over the years, first on the Diablo, and then the Murcielago and Aventador – but this is the first time it’s returned to the SVJ tag. What’s the difference between this and the old SV? The SVJ blends the best bits of the old SV with the best bits of the standard Aventador S, which replaced the original Aventador in early 2017. Then it adds a few more tricks for good measure. 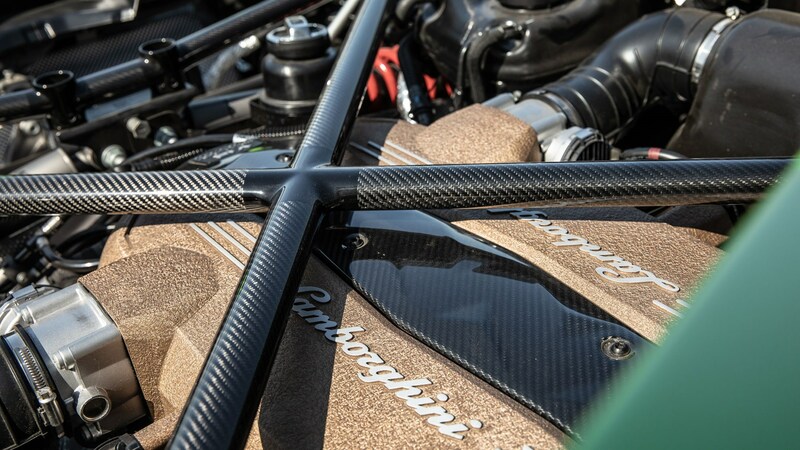 Compared with the old SV, power climbs 740bhp to 760bhp and there’s a version of the Huracan Performante’s clever active aero technology that can alter the downforce left and right during cornering: It works by funnelling air through the rear wing pylon, and then apportioning it left and right along the spoiler itself. Greater use of composites means that despite bolting on the S’s four-wheel steer system, the SVJ's weight matches the 1525kg of the old SV. That’s a dry weight, mind. You can probably add another 100kg for the kerb figure. Exactly how Super Veloce is it? Two-point-eight seconds to 62mph, 8.6sec to 124mph (200kmh) and 217mph flat out. It’s stupidly quick by normal standards, but not that quick by supercar standards. A McLaren 720S, a car from the class below that’s only rear-drive and costs around £100k less, tops out at 211mph but takes a tenth out of the SVJ to 62mph and almost a full second to 124mph. But nothing on the market that we have figures for can match the SVJ’s 6m 44.97 Nurburgring time. Did you drive it on the Nordschleife? No, we drove it at Estoril in Portugal, famed 1980s F1 track and recently host of the McLaren Senna launch. 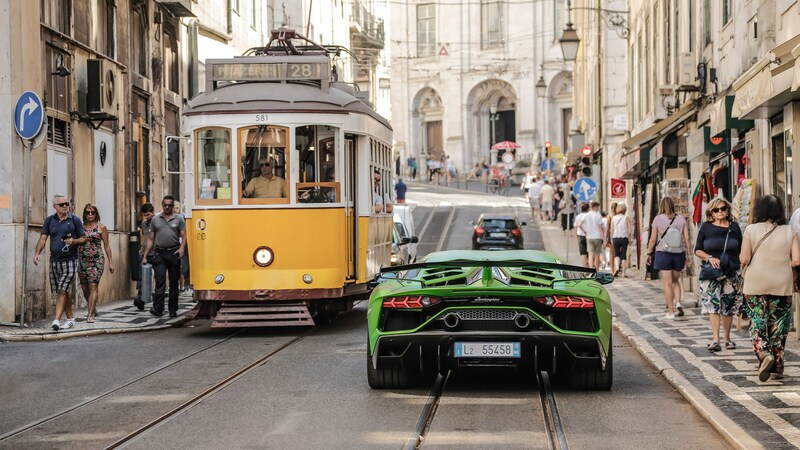 Unfortunately for Lambo, the thoughtful folk at Estoril decided to resurface the track days before the launch. The track itself looks exquisite in these pictures, but it’s currently about as sticky as a freshly greased frying pan. If the Nurburgring had been this slidey when Lamborghini went for the record back in July, we’d still be waiting for them to complete a lap. In terms of outright grip levels, not much. It was impossible to get the front tyres keyed into the track, and that made it hard to assess how well the four-wheel steer system was working. 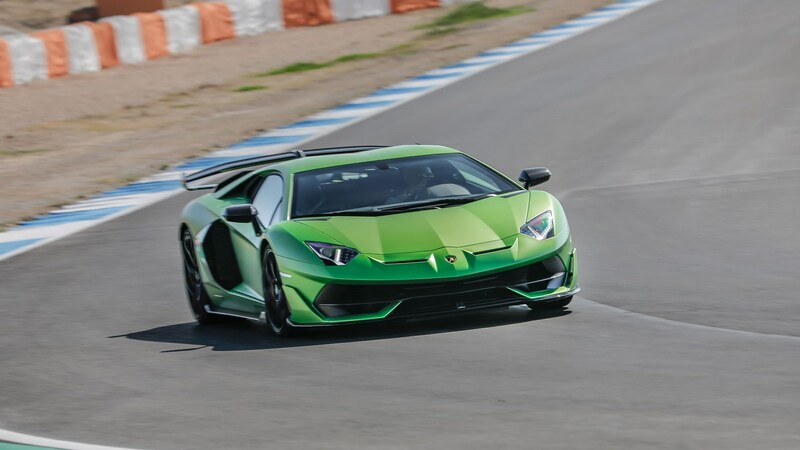 It transformed the Aventador S, and the SVJ did seem much keener to change direction than older non-4ws Aventadors, which were prone to understeer. But much like Ferrari’s first 4ws machine, the F12 TDF, you seemed to need more laps than we had to understand how the car was going to react, particularly on the entry phase to a corner. But even on the iffy track we could still appreciate the car’s other strengths. Like the naturally aspirated V12’s pure response and incredible soundtrack, the precision and linearity of the steering (even if it’s a little too weighty in Corsa mode) and brakes that haul you up like you’ve just unfurled a parachute from between the taillights. Yup. 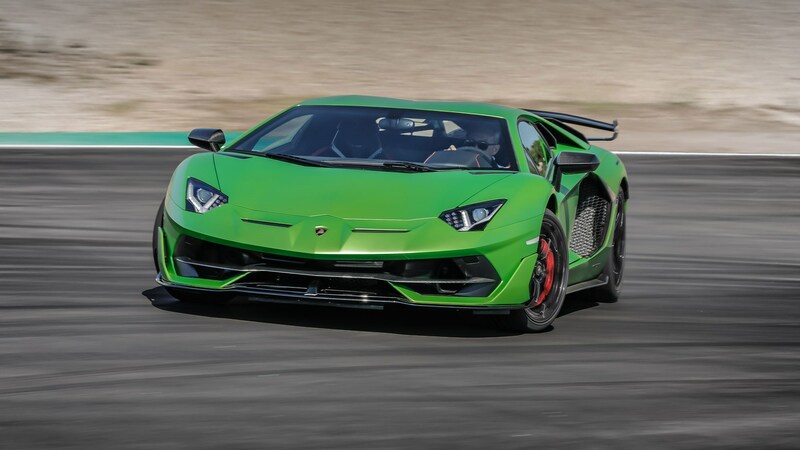 The Aventador is a big car and even in SVJ guise it never feels agile like a little 720S, Ferrari 488, or Lamborghini’s own, sensational Huracan Performante. The visibility is terrible, front and rear, and the ancient sequential manual box (no dual-clutch here) feels hopelessly off the pace. Right you are, sheik. Around £350,000 and not long. Production is limited to 900 units and according to Lamborghini UK, British dealers ‘would take every SVJ offered to them’. We need another go on proper, grippy track - and on the road - to deliver a definitive verdict on the SVJ’s handling, but that won’t change everything we love and hate about the SVJ. You can gripe about the clunky ’box and the fact that junior supercars are faster from the lights, but there’s not much in the car world with as much personality as the SVJ. And that’s a real asset, arguably a much more valuable asset than the odd tenth to 62mph. The SVJ looks sensational and that naturally aspirated V12 means it sounds and feels truly special.